MANSFIELD, Mass. – Charlie Rogers’ goal in the fifth minute of Monday night’s Kelley-Rex clash between Mansfield and Franklin sure was a welcome sight for the struggling Hornet offense. In the previous two games against Sharon and King Philip, Mansfield was held off the scoreboard so the Hornets knew a fast start was going to be needed against the Panthers. Senior captain Jared Miller launched a 20 yard shot off of the crossbar and Rogers was in the right place at the right time as he was able to recover the ball and put it into the back of the net giving Mansfield a quick 1-0 lead. Just two minutes into the second half, Miller recorded his second assist when he found senior Jack Reilly open from 15 yards out. Reilly gathered the pass and rifled the shot to the far post of the goal giving the Hornets comfort room with a 2-0 lead. Mansfield had several chances to increase their lead to three but the Franklin defense had other ideas. 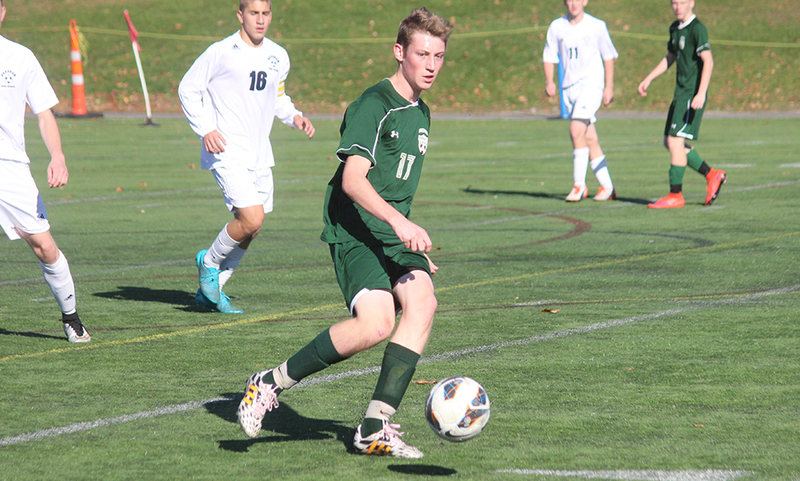 In the 56th minute, Jareme DiLorenzo broke away from the pesky Panther defense and found Sean Lanzillo. After a couple dribbles, Lanzillo fed Chris Elsner near the goal and Elsner took a chance at goal but Franklin goalie Henri Guilmette came up with the save. Two minutes later in the 58th minute, Max Gurnon’s free kick went off the bar forcing a corner. Elsner took the corner finding Miller but Guilmette dove to the right to stop the ball from going in. From there, Franklin dominated possession time and gave Mansfield a scare. 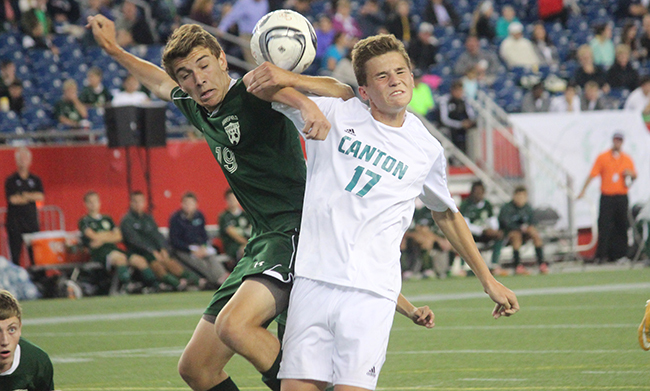 Cam LeBlanc pulled the Panthers within a goal in the 61st minute. LeBlanc came away with the ball after a scrum with the Hornet defense and shot it near the right post. 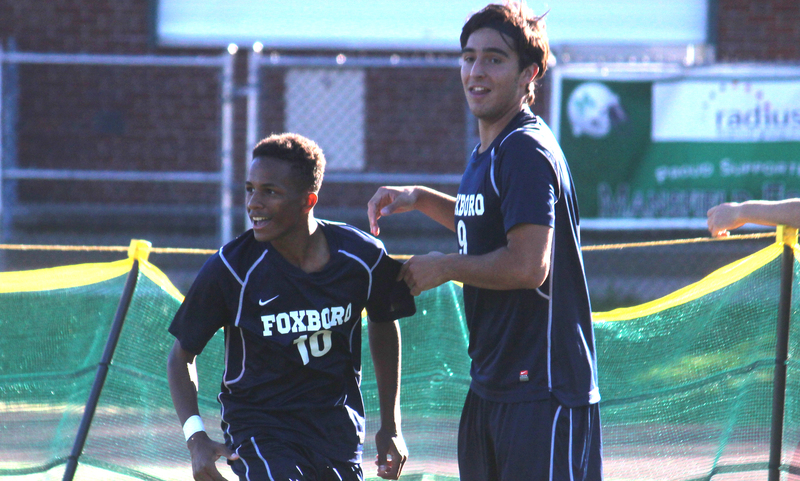 A minute later, Franklin had an opportunity to tie the score at two but Kevin Hall’s shot went just right of the net. In the 67th minute, Patrick Kapples found LeBlanc on a cross but the ball, again, went right of the net. The last real scoring threat came in the 78th minute. After a Wesley Kozil throw-in resulted in a scrum in the box, Hatim Brahimi came away with the ball and took another chance at goal. This time, however, the ball was over the bar. 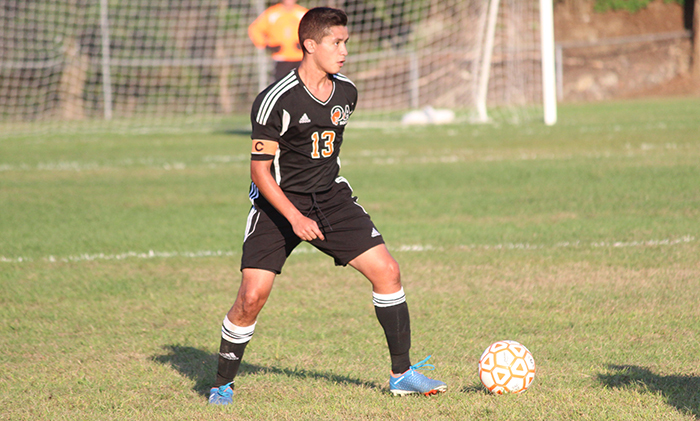 Leading the Mansfield defense was senior captain Chris Elsner. Whenever the Panthers got near striking distance, it seemed as though Elsner was always finding a way to break up the scrums and give the ball back to the Hornets with clearances. 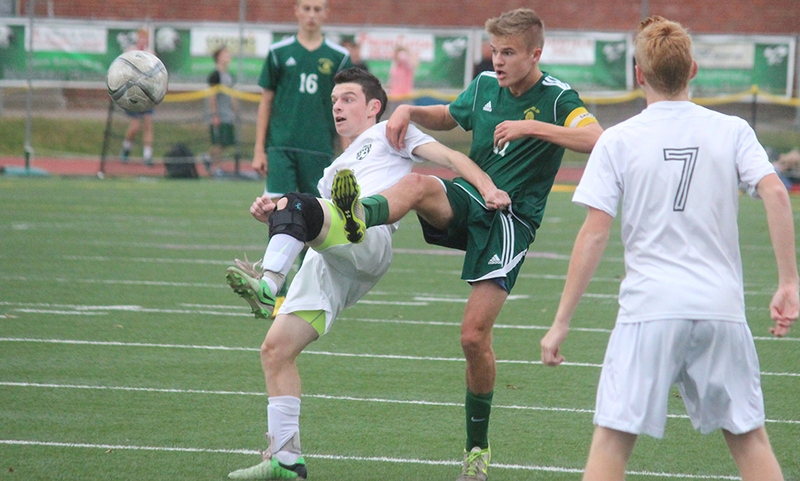 In addition to his tenacious defense, Elsner had several attacking throw-ins but the Hornets weren’t able to make the most of them. The win clinches the Hornets a spot in the tournament as well as giving them the sole lead for first place in the Kelley-Rex. Mansfield (8-3-2) hosts North Attleboro on Friday while Franklin (8-5) travels to Xaverian for a non-league game on Wednesday.